Trackhunter is all about helping you find the newest, hottest tracks and saving you money. We've also previously taken a look at the huge Discogs marketplace to seek out cheap vinyl that still stand the test of time and won't cost you a fortune. Last year we looked at golden era hip hop, US house and rave classics. Second hand vinyl has been going up in value over the last few years but there are still plenty of bargains to be had if you seek them out. It is fair to say that the majority of dance music has a shelf life of sorts, but we think we have tracked down a dozen old school European techno releases that we think still hold up pretty well over 20 years ago since their initial release. To clarify our rules of the game, we searched for records that were at least VG+ in quality, currently listed and can be purchased for no more than £5 excluding postage. We have included sellers from the UK and Europe. To ensure high standards, all of the tracks have a Discogs rating of at least 4.00 and higher. Next month we will head over the Atlantic to see what old school US techno we can find for less than £5. 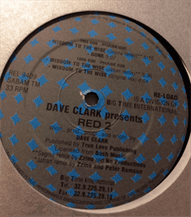 Still going very strong in the global techno community and Dave Clarke was in seriously good form with the release of his Red record series. Wisdom to the Wise got two remakes and the original thrown in for good measure. The Segma Remix takes the original and runs it through some huge reverb to give it that extra bit of umph, whilst the Jatran rework turns the kick drum and converts it into an industrial jackhammer to good effect. Also features the high pressure techno workout of Gonk. 1992 was a time when the Dutch were really putting out some interesting stuff alongside their European counterparts. See Saw's output was patchy at times but this release, although little known, included an interesting version with the Original Ice Mix which kicks off with a rolling heavy bassline over a classic house beat. The introduction of a distorted vocal scream breakdown kicks the track into overload and onto pure European techno bliss. 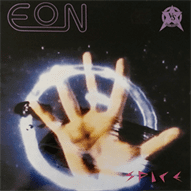 Eon AKA Ian Loveday sadly passed away in 2009 and never truly got the respect he deserved as one of the UK's most forward and innovative electronic producers. Releasing content under the guises of Minimal Man and Tan-Ru among others, Eon was his Optimus Prime of music. Spice took samples from David Cronenberg's epic sci fi Dune and collapsed it into a heavy techno workout that was a massive hit among the rave natives. Still incredibly powerful, well produced and well worth the money. Soma was really into its own by 1995 and Funk D'Void was one of the stalwarts of the superb Scottish label. Sounding like a perfect meeting of minds between Detroit Techno and Chicago House it still has incredible power and authenticity. Funk D'Void has returned to releasing outputs this year after a couple of years away, but his back catalogue is well worth exploring for techno masterpieces. 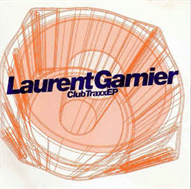 Classic F Communications and Laurent Garnier from 1995 with a good value six track EP. Aquarius stands out as a sublime piece of deeper techno with obvious influences coming out of Detroit. Side Effects gets a little heavier whilst Pigalle sounds classic Garnier and the sound he made for himself at that time. Luke Slater was an ever-present resident on the UK techno scene throughout the 1990s. Slater still operates under his Planetary Assault Systems and Roog projects but this old classic is still worth tracking down as the third of his X-Tront series on Peacefrog. Worth getting for the relentless and heavy Bande Magnetique track which is up there with the best of what Detroit was putting out in 1994. Chaos ensues as Belgium's 'other' techno label of the 1990s hit out with this stormer of a track. Speedy J gets to work with a militaristic metronomic workout that could easily go down a storm in a large warehouse or festival field today. 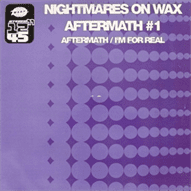 Before the smoking, trip hop Nightmares on Wax there was the techno, bleep NOW. The universally talented George Evelyn made one of Warp's greatest ever electric double headers. A total classic in every sense of the word and remarkably fresh to this date. Both tracks completely compliment each other and remain two of Warp's greatest tracks. Orbital have returned to fine form of late after years in relative inactivity and all the classics are back including this one. An incredible remix of Chime as Chime Crime is potentially surpassed by the beautiful Farenheit 3D3. Moby's Mutation of Speed Freak goes into full rave attack whilst Joey Beltram turns Chime up a few more notches to make this a great EP. Clearly influenced by the sounds coming from the Motor City with Kevin Saunderson type stabs, Demons is pure old school techno business. Frequency's scattergun approach to techno and bleeps works well to make this one of the scene's finest and most underrated of tracks. More stabs and bleeps on Take me Back are reminiscent of the time and this could have easily ended up on Warp alongside the Forgemasters and LFO. The original Spectrum is an incredible track, the sirens and bleeps echoing through many a dark cavernous space. 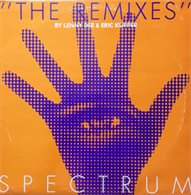 Lenny Dee and Eric Kupper bring more heaviness to the party with a brilliant reworking of this techno rave classic. With four remixes by the duo it is the haunting Amplification that continues to stand out as a fine piece of techno work. Double header of mixes from the UK's seminal techno and electronic label and two of Sheffield's finest producers. Richard H Kirk (of Cabaret Voltaire fame) and Richard Barratt AKA DJ Parrott and member of many Sheffield acts, came together to bring an oddity and dark humour to Warp. The two versions (Homebass and Freebass) may sit uncomfortably with some techno fans but the bleep and clonks are true Warp and pushed many boundaries at the time.